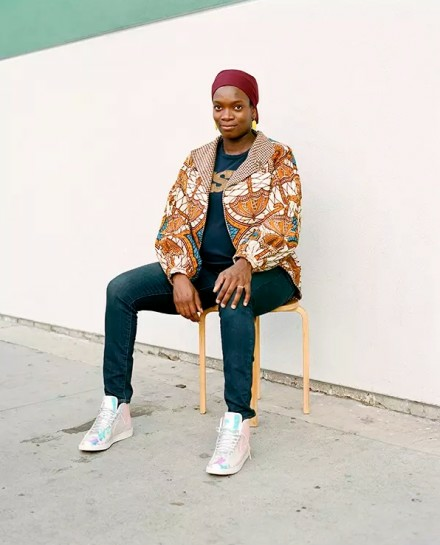 The Nigerian-born, LA-based artist talks to Jonathan Griffin about heritage, identity and why she chose art over medicine, as part of a special issue of FT Weekend Magazine celebrating women’s achievements. Pushing through the shop-front door of her east Los Angeles studio, laden with bags and 10 minutes late, Njideka Akunyili Crosby apologises that she has not had time to tidy up. She has a lot on her plate. Wearing large tortoise-shell glasses and with a yellow and purple scarf wrapped around her head, despite her apparent fluster she is a graceful figure, especially given that she is eight months pregnant. It’s been a memorable year for the 33-year-old Nigerian-born artist. In June she was awarded the Prix Canson, an international prize for works on paper, and in November she was shortlisted for the 2017 Future Generation Art Prize, worth $100,000.